No surprise to see some of the iconic Bordeaux blends in Geoffrey’s list, but who would have expected to see Petite Sirah, Pinot Noir and Syrah? To underline Chile’s diversity as far as grapes go, I’ve picked out ten of the most captivating wines, all very different, that I tasted during a fortnight of visiting vineyards there. Eight distinct single varietals (all at least 90% of that grape), feature, while two Bordeaux blends of differing composition are included. These are two of Chile’s icon wines, as are a couple of others, but wineries that may be less familiar to drinkers also make the cut. Bordeaux Blend (69% Cabernet Sauvignon, 24% Carmenere, 5% Cabernet Franc, 2% Petit Verdot), 14.5%. 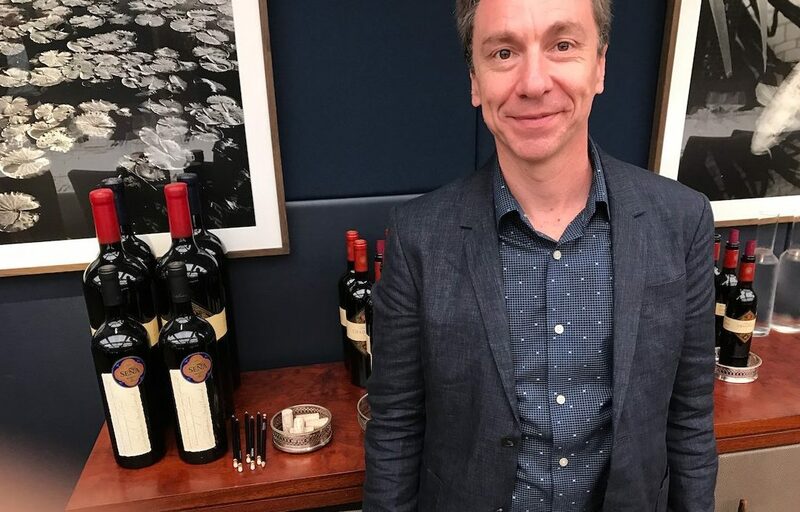 In winemaker Michel Friou’s opinion, this 20th vintage of Almaviva, the joint venture in the Alto Maipo between Baron Philippe de Rothschild and Concha y Toro, is one of the best. Complex, with very generous fruit, this is already approachable thanks to its silky tannins. 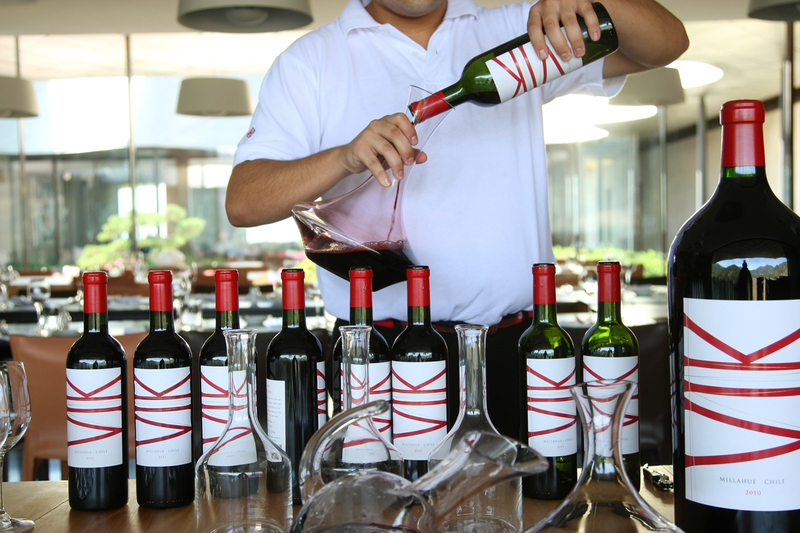 The Carmenere brings smoothness and softness, as well as the creaminess that Cabernet Sauvignon cannot. Bordeaux Blend (55% Cabernet Sauvignon, 20 Malbec, 12 Petit Verdot, 8 Carmenere, 5 Cabernet Franc), 13.5%. Whereas the Almaviva saw 100% new French barriques for 18 months, this spent 23 months in 73% new French oak. From biodynamically-farmed vines at 290-500m in the Aconcagua Valley, 100km north of Santiago, this wonderful wine has great ageing potential. With its firm, fine-grained tannins, fresh acidity and seductive blueberry and cherry fruit, this is a beautifully balanced Seña with intensity of flavour and multiple layers of complexity. 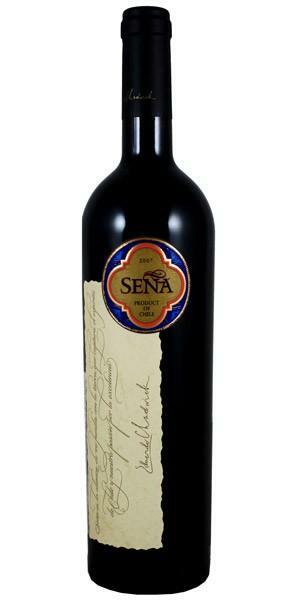 Cabernet Sauvignon (93% Cabernet Sauvignon, 3 Cabernet Franc, 3 Petit Verdot, 1 Merlot), 14%. Drawn from seven different parcels of Concha y Toro’s Cabernet Sauvignon vines of 30-plus years age on poor, gravelly soil at 650m in DO Puente Alto, this Don Melchor was rated by respected South American wine critic, Patricio Tapa, as the best he has tasted in two decades. Winemaker Enrique Tirado has fashioned a great Chilean Cabernet with elegant tannins, glorious red fruit and a supremely long finish. Made from very low-yielding ancient bush vines in the Maule Valley, and matured in small clay amphorae, this wine has fabulous concentration, intensity of flavour and length. Rustic yet high-grade tannins, as well as vibrant acidity, ensure good balance despite 15.2% abv. Winemaker Pablo Morande made this beguiling wine at the Casablanca Valley winery’s headquarters. Carmenere (93% Carmenere, 7% Petite Sirah), 13.5%. Made from Aconcagua Valley vines planted in 1992-3, this elegant wine has very attractive raspberry and forest fruit, along with a touch of spice and paprika on account of a very cool vintage. 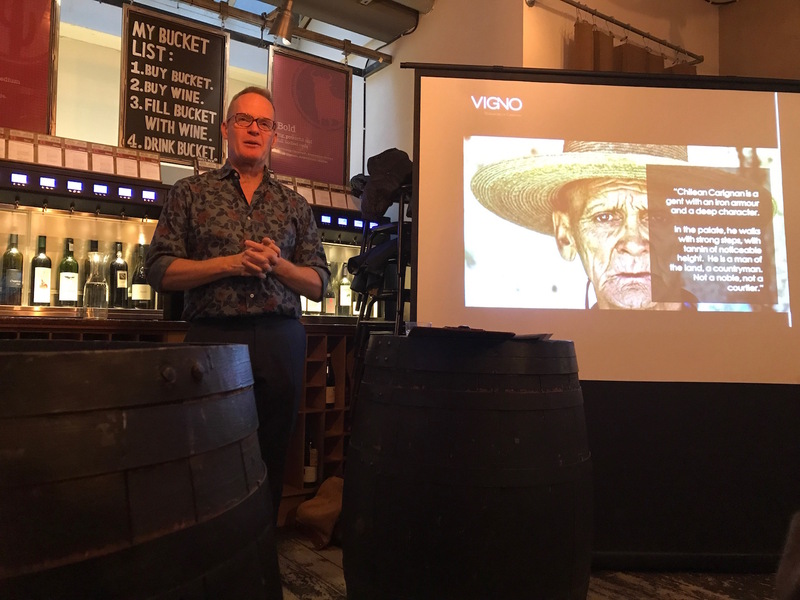 Winemaker Francisco Baettig, one of Chile’s best, says it is very difficult to produce top Carmenere from young vines, and has come up with a special wine (note RRP £124). Arguably, Chile’s finest example of this grape. Errazuriz has 50 hectares of Chardonnay planted on the Aconcagua Coast, with the Las Pizarras parcels being the very best. Very limited production. Notable freshness from pH of 3.1, body from 55% malolactic fermentation, structure from 18% new oak and complexity from wild yeasts. Gorgeous lemon fruit and exceptional length. 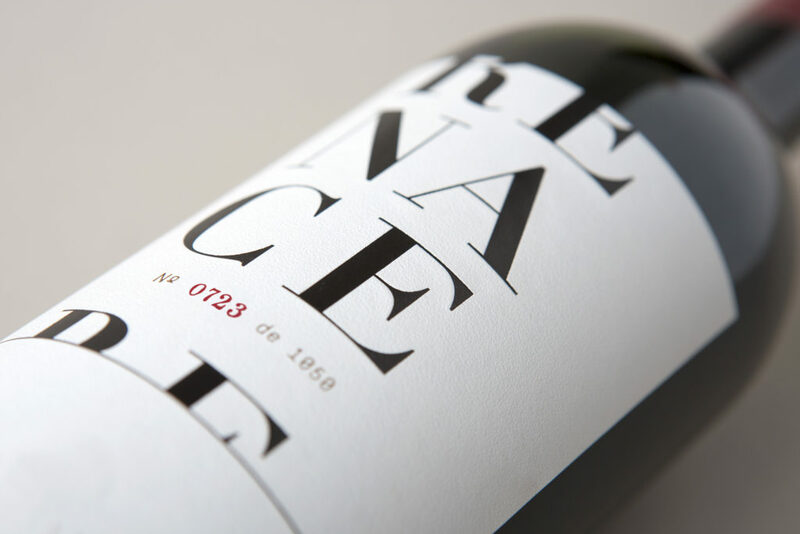 From low-yielding Malbec vines aged 70-80 years in Colchagua Valley, this has fine, silky tannins and enticing red fruit with a very long finish. Matured in 20% new oak, with the rest in concrete eggs and oak foudres. Oenologist Nicolas Perez defied difficult conditions, picking before the rain came in mid-April. Excellent quality. Petite Sirah (95% Petite Sirah, 5% Syrah), 14.5%. A very big, dark wine with massive structure, as might be expected from this grape and 100% new oak, but generous black fruit from Alto Jahuel in Maipo Valley. Excellent length too, as well as fresh acidity to counter firm tannins. Power-packed red that needs food. Winemaker Meinard Bloem, a Dutchman, is justifiably proud of this Old World-style Pinot that has a lovely forest-floor earthiness. He used a combination of old oak and stainless steel for elevage, and has managed to combine both freshness and complexity (employing wild yeasts). Plenty of intensity of flavour in this Casablanca Valley classic. Syrah (95% Syrah, 5% Viognier), 14.5%. Won best Chilean red trophy at the International Wine Challenge in London two years ago, and easy to see why. Very attractive red fruit from vines grown on decomposed granite in cool climate Leyda Valley. Winemaker Diego Rivera co-ferments the Viognier, which adds flowery perfume, while vibrant acidity and sufficient structure from 20% new oak balance 14.5% abv nicely.